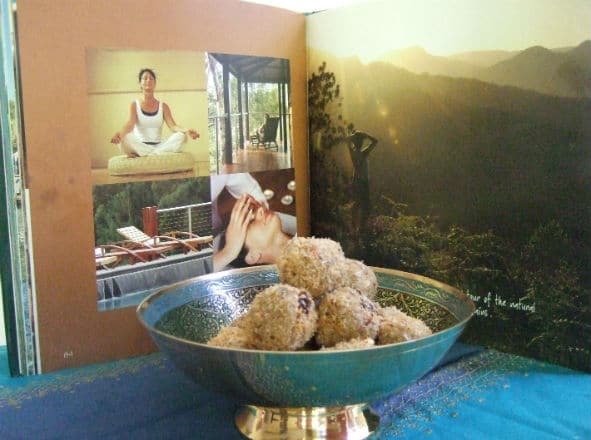 When I spent time working at Gwinganna lifestyle Retreat in Queensland, Australia these Tahini balls were a favourite snack of everyone there. Like an American friend said ‘ they taste like cookie dough and yet so good for you!’ These are delicious and high in protein, minerals such as calcium and magnesium, plus wonderful essential fats. I love Tahini balls as a mid afternoon snack when my ‘tank of fuel’ is getting low! And even better, they take just a few minutes to make, need no cooking and then can be stored in the fridge or freezer for another time. This photo above includes a picture from the Gwinganna Cookbook, maybe to tempt you to stay there yourself! 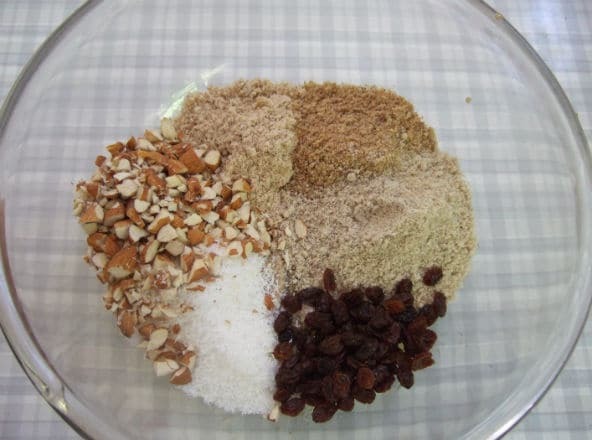 Mix all ingredients together in a mixing bowl. Bring the mixture together with a spoon or your hands. I start with ¼ cup honey but you can add more to taste. I grind my own seeds and nuts in a coffee grinder but you can buy LSA which is pre-ground linseeds, sunflower seeds and almonds. If the mixture is too wet or ‘sticky’, add more of the dry ingredients and if too dry and crumbly to roll into balls then add some more honey (or maple syrup) and / or tahini. Toast some extra coconut in the oven for a few minutes until golden colour. 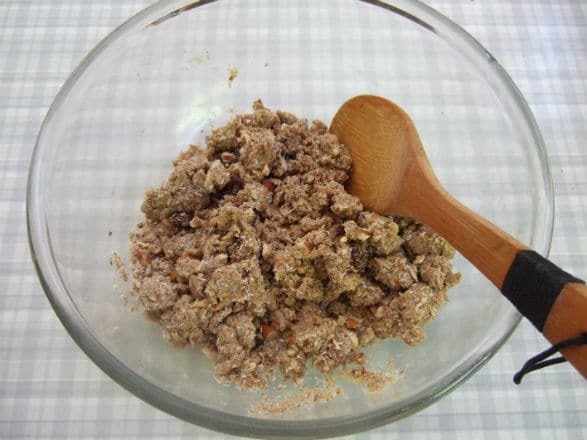 Then roll the mixture into small truffle or walnut sized balls. Roll in the toasted coconut and store in a glass or ceramic dish in the fridge or freezer. Hi Clarice – these are superb made with 1/4 cup tahini and 1/4 cup Pic’s Peanut Butter (crunchy), for a change. I can’t go a day without a Tahini Ball or two and I bring one to work for the “sweet treat” I have always had after my lunch…much better than a Mars Bar! Delicious & nutritious! As a snack or a sweet treat with or coffee after a meal. Fun to make (use fresh ingredients & avoid stale nuts & fruit); keeps well in the fridge. Try adding a tablespoon of Slippery Elm powder for an extra health kick!